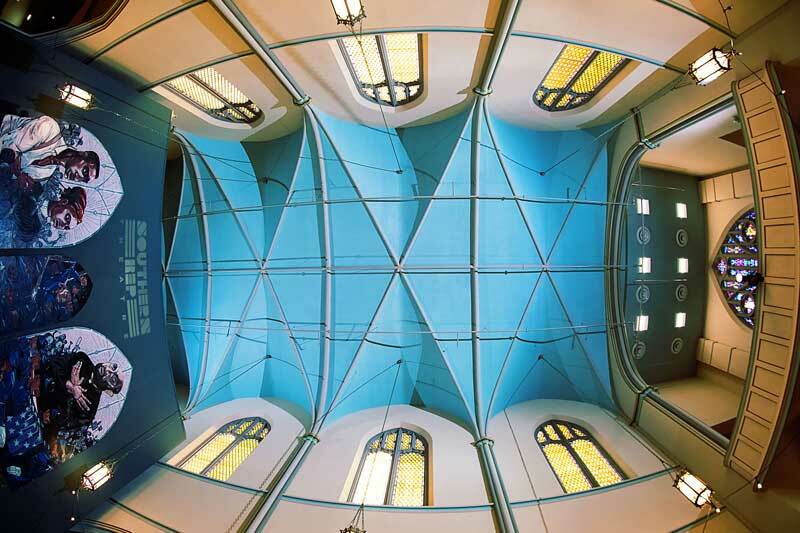 In this experience, we explore healing and creative expression through the movement of our body-instruments. The use of breath, meditation, positive language, ritual, essential oils, and crystals will enhance this experience, allowing the artist to get in touch with their inner creative spirit. Guided by Claire Christine Sargenti. Claire Christine Sargenti: Claire is a natural healer, working within the modalities of yoga, reiki, crystal therapy, and essential oils. Her creative foundation comes from the worlds of classical ballet, acting and theatrical writing, all of which fuel her passion for the healing arts. 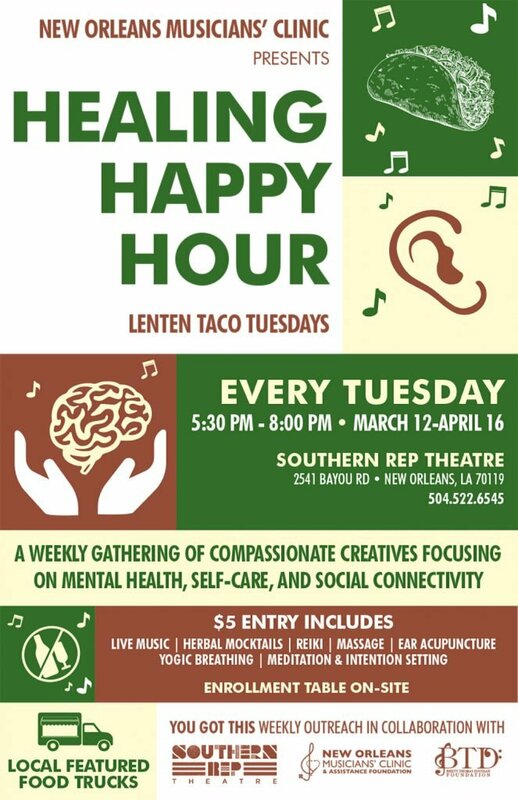 In lieu of our regular post-Power Hour acupuncture and community pot-luck, March 12 begins the next installment of the New Orleans Musicians Clinic’s YGT Taco Tuesdays, Lenten Edition, with a six week residency at Southern Rep! This self-care, sober, social, healthy supper will precede our regular Healing Power Hours, creating a fantastic evening of Care for Creatives.